I’ll be playing catch up with posting my 365 pictures this weekend. I’ve been busy this week putting the finishing touches on an article for Issue 5 of Uppercase Magazine! i know! this is in high park. 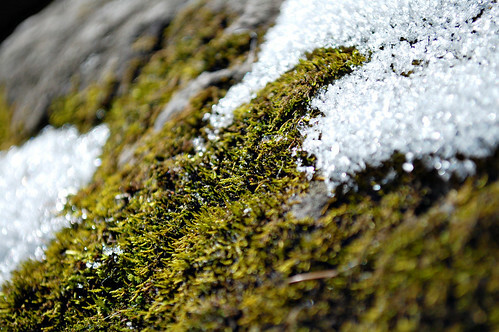 down in the little stream, i spotted this green moss with snow and had to crawl down to take some photos of it.